Happy Girl Scout week! On Sunday, March 6, 2016 we honored 44 girls from across Western Ohio who achieved the highest honor in Girl Scouting-the Gold Award! 100 years ago Juliette Gordon-Low introduced the Highest Award in Girl Scouts, the Golden Eagle of Merit. Since then, the highest award name has changed several times but the Gold Award’s commitment to community and excellence has remained strong. This prestigious award challenged each girl to change the world, or at least her corner of it, by identifying a community problem and taking action to help solve or lessen the problem not only in the short term, but for years into the future. 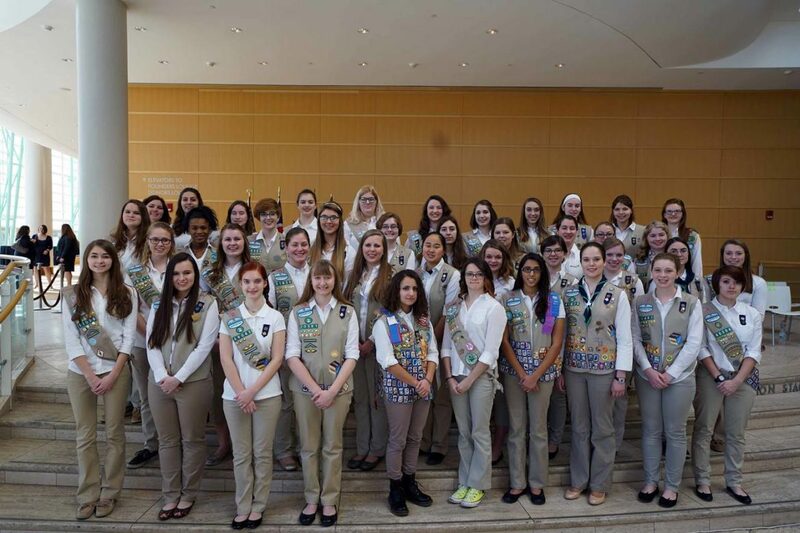 These exception girls were recognized for their achievements in a ceremony featuring General Janet Wolfenbarger (retired) as the keynote speaker, 2015 NYWOD, Hadiya Harrigan, and attended by the 2016 award recipients, their families, friends, Gold Award alumnae, and dignitaries from across our council at the Schuster Performing Arts Center Wintergarden in Dayton, OH. The girls’ projects and the needs they addressed were as diverse as the interests and communities that each girl represents, but each project challenged the girls to become leaders, to collaborate with organizations and individuals in their communities, to recruit and train volunteers, create a lasting change in their community through a sustainable project, and educate others on this community need. We hope you’ll join us in celebrating their immense achievement and wishing them well in all of their future endeavors. Gold Award Recipients of 2016, we salute you! We can’t wait to see what amazing things you continue to do to make our world a better place.